ISIS Fighter Tweets Selfie And In Less Than 24 Hours He Gets a ‘Reply’ – from the U.S. Air Force. 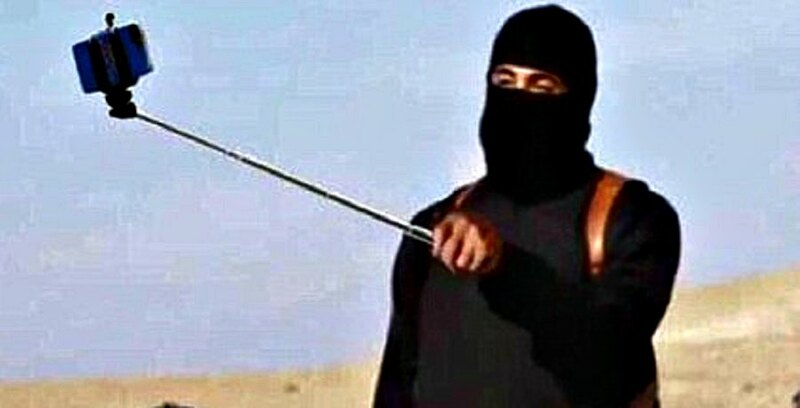 Selfies being all the rage, one ISIS fighter just didn’t want to miss out on the hottest thing around. Little did one jihadist know that humble-bragging online to get some RTs on Twitter would get subtweeted along with 3 JDAM bombs. Air Force Gen. Hawk Carlisle, head of Air Combat Command, described Monday how airmen at Hurlburt Field, Florida, with the 361st Intelligence, Surveillance and Reconnaissance Group, recognized a comment on social media and turned that into an airstrike that resulted in three Joint Direct Attack Munition (JDAM) missiles destroying Islamic State in Iraq and Syria (ISIS) headquarters building. The post was careful not to reveal any secrets that could jeopardize any other ISIS “morons” revealing their locales via social media.